This revolutionary new material is installed and performs in exactly the same way as traditional mineral fibre insulation but, thanks to the absence of floating fibres, unpleasant working conditions have been relegated to a thing of the past. This fully tested and certified insulation (Agrément Nos. 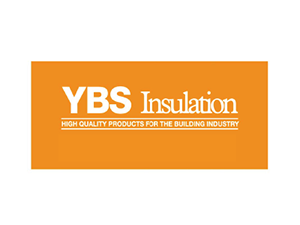 BPD 07-217/8, Patent Pending) offers specifiers, housebuilders, contractors the opportunity to install insulation into lofts, partitions and timber frame buildings without any of the drawbacks normally experienced with glass or mineral wools. EURO-WOOL Insulation is supplied in easy to handle rolls designed to be installed in exactly the same way as mineral fibre or fibre glass and provides the same thermal conductivity. Approximately 85% of the material used in the production of EURO-WOOL Insulation is manufactured from recycled plastic bottles! This not only has a positive effect in reducing land fill problems now, but also in the future as the material is, and remains, 100% recyclable. Following a series of independent tests using the EU standard (EN 12667) ‘hot box’, Agrément Nos. (09 -346 / 347) confirm that a single layer of new SuperQuilt out performs any other similarly tested multi-foil insulation by achieving an R-Value of 2.71m2K/W. The enhanced performance is achieved as a result of a unique patented system that overcomes the problems of thermal bridging usually associated with other mutli-foil insulation materials on the market. SuperQuilt is manufactured from insulation grade true aluminium foil. This gives the added benefit of a far superior thermal performance over the metalised polyester used by other manufacturers. These layers also provide added fire protection. SuperQuilt has also been tested and certified separately for Walls 2.44 m2K/W tested value to BS EN 12667 and for Floors up to 4.14 m2K/W calculated value to BS EN 6946. This together with a certified Water Vapour Transmission figure of µ = 58.000 [-] to EN 12572 offers a comprehensive three-in-one Air Leakage, Vapour Barrier and Thermal Insulation solution in a single lightweight, easy-to-fit, non-allergenic and non-irritant package. Installed with the appropriate airspace, AirTec is able to achieve excellent U-Values in all applications. Supplied in 25m long rolls in a number of popular widths.